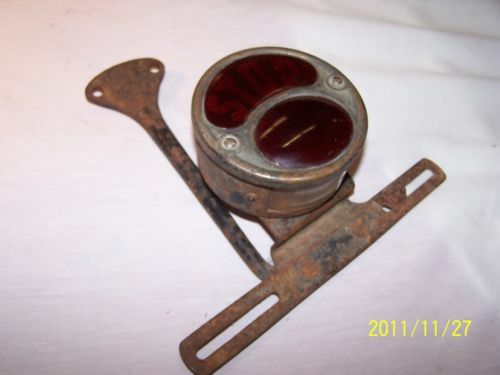 I have just restored a new style 1926-27 tail light with a 4 3/8" diameter bright nickel cover plate covering a single piece red glass lens. 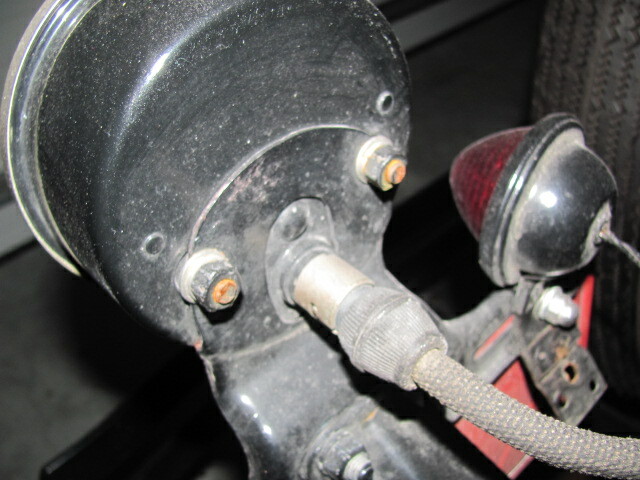 The tail light has a special double contact plug, with the lower contact going to the tail light bulb in the lower portion which is covered by an oval opening in the cover plate and the other contact going to the brake light bulb in the upper half which is covered by a half moon shaped metal STOP stencil. 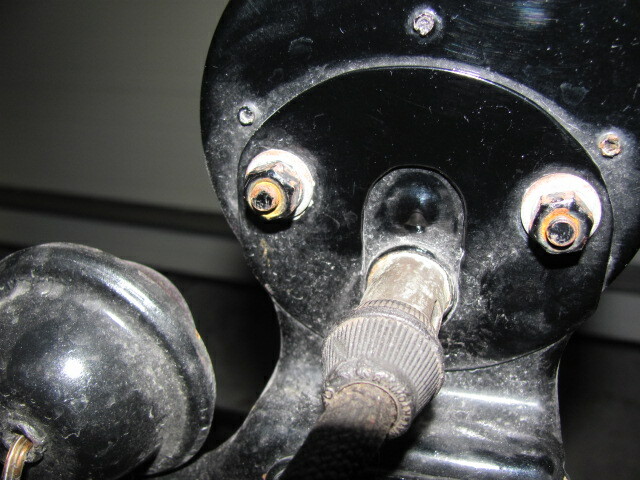 On the back side are two nutted studs for securing the light to the holder bracket. 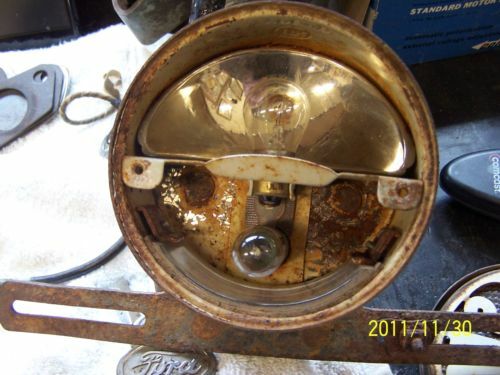 This is not a Model A light with the angled back bowl shaped housing. It has flat, upright sides like a tuna fish can or a cheese box. The attached photos is not mine. I found one on ebay with a bracket like what I need. As far as I know, this bracket is no longer being reproduced. I found mine at Chickashaw a couple of years ago. I can take a photo of mine if you would like and I can post it probably later today. Here are some pictures to help you. 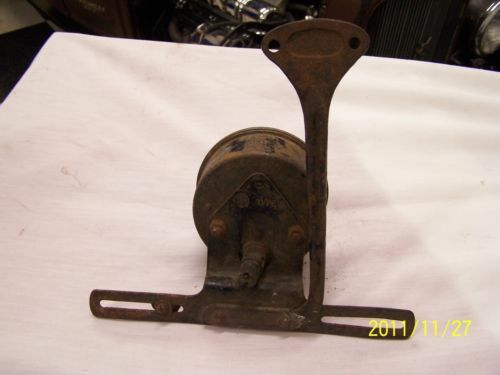 Correct that the '26'27 accessory bracket is not being repro today. 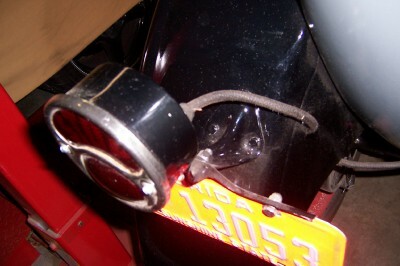 But you can make a fair replica by using a repro '28 Model A drum light license bracket. The rear panel is a bit narrow on that A bracket, but it will just allow the two holes to be drilled, then you grind away the sides some to get to the T shape needed. Jim, Dan is correct. 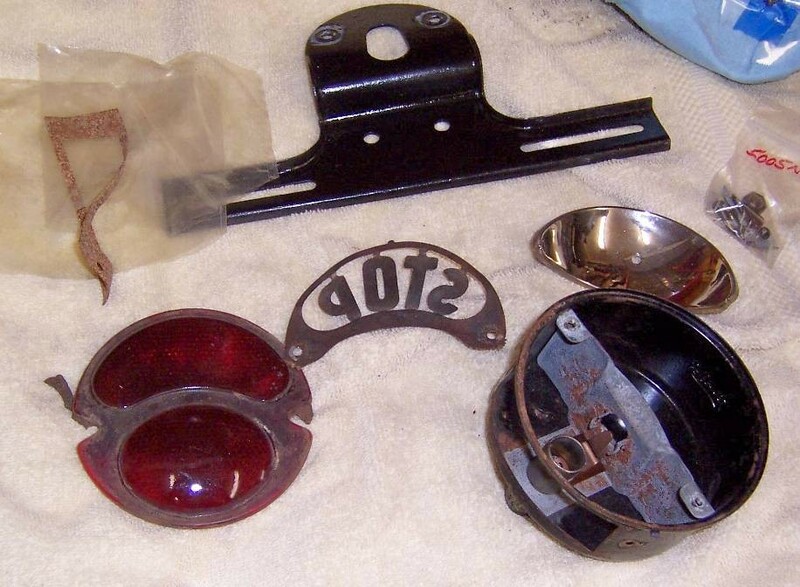 They are not being reproduced and more chances than not, when I have found a light (don't ask me how many), they do not have the license bracket attached, or if they do, it may be rusted or bent up. That is why the last two complete unrestored ones on Ebay have sold for over $200.00. 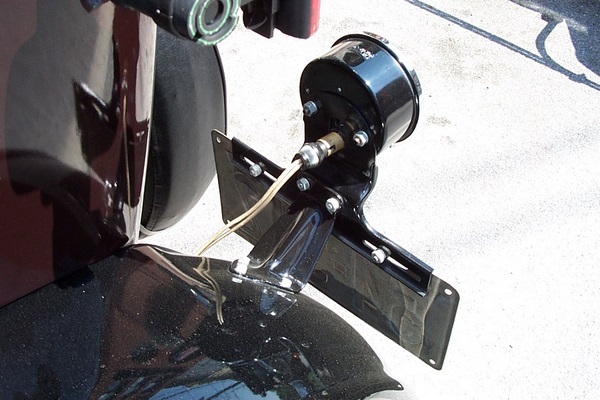 As he said, the closest thing that can be made, is one using the bracket from a Model A drum tailight bracket. It will require drilling some holes and cutting the outer edge contour to the shape of the original, but finished, the only give away is the word Duolamp stamped in it below the light and above the plate. I have done two that way, but expect the steel to be hard. I wished I had a metal cutting bandsaw. I went through a lot of hacksaw blades. Just what the doctor ordered Dan. Thank you. 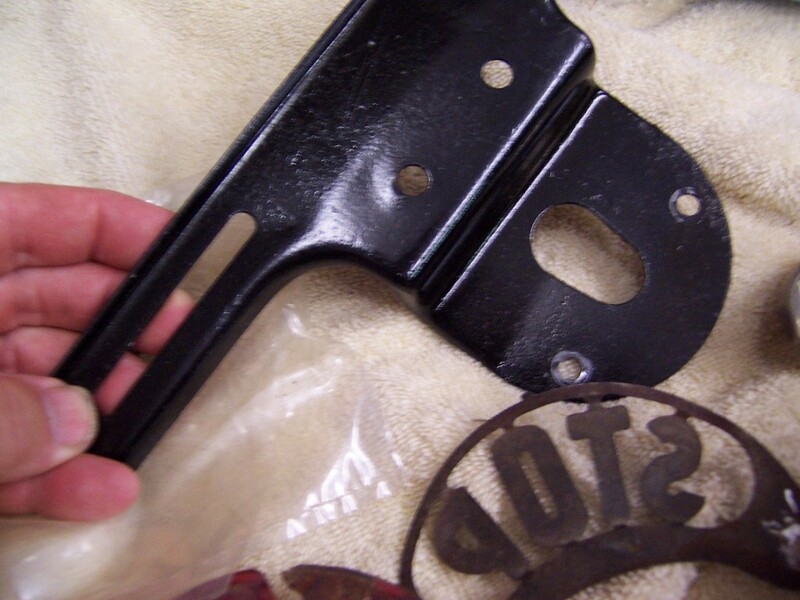 Jim Patrick, Jr.
As far as the Duolamp stamping, what I did was to place the Model A bracket on the vise and hammer the "Duolamp" legend flat, then sanded and filled the area to disguise the fact. Hardest part was making the hole in the bracket oblong like the T. Took a while with a rat tail file. If you had a mill and other machine tools, would be more easy. I just used the hacksaw and hand files.